Phew.. I thought it's only me being too stupid to use the search func! PS: No, I'm not hitting the 'search' button in a wrong subforum. Ted, yeah I did that. It came up with 0 results. Hmm... 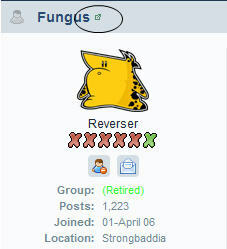 Noticed kinda the same about seach as Fungus says.. I was positive,I had posted one certain application under Freeware topic,but search didn't find it..